Cover-Up? Why Have the Media and Obama Administration Gone Silent on MH17? 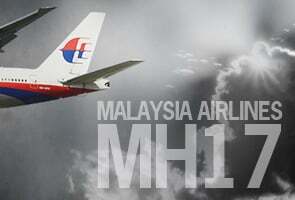 There is no innocent explanation for the sudden disappearance of MH17 from the media and political spotlight. The plane’s black box has been held in Britain for examination for weeks, and US and Russian spy satellites and military radar were intensively scanning east Ukraine at the time of the crash. The claim that Washington does not have detailed knowledge of the circumstances of the crash and the various forces involved is not credible. If the evidence that is in Washington’s hands incriminated only Russia and the Russian-backed forces, it would have been released to feed the media frenzy against Putin. If it has not been released, this is because the evidence points to the involvement of the Ukrainian regime in Kiev and its backers in Washington and the European capitals. In the event, the misinformation on the MH17 crash came from the Obama administration itself. Secretary of State John Kerry went on a media blitz on July 20, arguing that the pro-Russian separatists and the Russian government were responsible for the shoot-down. The sole evidence he presented were a few, dubious “social media records” posted to the Internet. He presented unauthenticated audio recordings of separatists speaking of a plane crash, edited and released by Ukraine’s SBU intelligence agency, which works closely with the CIA; YouTube video clips showing a truck moving unidentified military equipment along a road; and a retracted social media statement claiming responsibility for shooting down a plane attributed to separatist leader Igor Strelkov. After a month during which Washington has failed to release evidence to support its charges against Putin, it is clear that the political offensive of the NATO governments and the media frenzy against Putin were based on lies. If pro-Russian separatists had fired a ground-to-air missile, as the US government claims, the Air Force would have imagery in their possession confirming it beyond a shadow of a doubt. The US Air Force’s Defense Support Program utilizes satellites with infrared sensors to detect missile launches anywhere on the planet, and US radar posts in Europe would have tracked the missile as it shot through the sky. These satellite and radar data have not been released, because whatever they show does not fit the storyline concocted by the US government and media. What has emerged, instead, is a drumbeat of evidence pointing to the US-backed regime in Kiev’s role in the MH17 shoot-down. The day after Kerry made his remarks, the Russian military presented radar and satellite data indicating that a Ukrainian SU-25 fighter jet was in the immediate vicinity and ascending towards MH17 as it was shot down. This claim has not been addressed, let alone refuted by the American government. While it is too early to say conclusively how MH17 was shot down, the preponderance of the evidence points directly at the Ukrainian regime and, behind them, the American government and the European powers. They created the conditions for the destruction of MH17, backing the fascist-led coup in Kiev this February that brought the current pro-Western regime to power. The Western media then supported the Kiev regime’s war to suppress opposition to the putsch in east Ukraine, turning the region into a war zone in which MH17 was then shot down. After the murder of the 298 people aboard MH17, in which they played an important if as-yet unexplained role, Western governments and intelligence agencies seized upon the tragedy in a reckless and sinister maneuver to escalate war threats against the Putin regime. Silence denotes consent, and the deafening silence of the Western media on the issue of Kiev’s involvement in the MH17 crash testifies to the criminalization not only of the foreign policy establishment, but also of its media lackeys and the entire ruling class.